We offer the best in high-quality chiropractic techniques. Each patient is an individual and we specialize in many different techniques to meet each specific patients needs. We have a reputation for excellence in choosing the right techniques at the right time to meet the individual needs of the patient. Our patients appreciate that their best interests are always our top priority! Whether you’re looking for deep tissue therapy to help with an injury, or simple to treat yourself, our licensed massage therapists offer a variety of techniques to help you relax and feel your best. 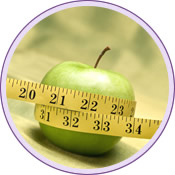 Our customized weight loss program will not only help you lose weight, but increase your energy and improve your mood. We’re proud to offer our patients the very best in custom orthotics, featuring products from the well-established and highly respected company, Foot Levelers.